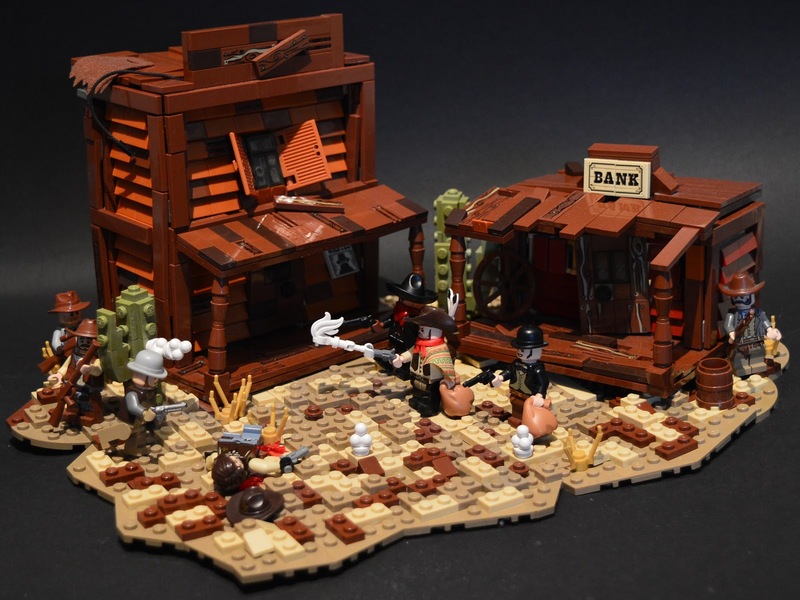 LEGO Fan and flickr.com member General Magma has recently shared his latest MOC in our group page on flickr which is represents a duel scene from western. Sandwood Town Shootout has a story about Deadeye Bill and his gang. General Magma used so many reddish brown tile to create a perfectly designed western buildings and two different colors of tan to create unique desert effect. I mostly liked the building technique of tile-based walls.